Ed and Fritz had a great day out on the river today to end their year of fishing. Today was the last trip I had on the books for 2014, I'd like to thank everyone who fished with me this year and I look forward to fishing with you in 2015. Have a safe and happy New Year!! Here are a few pictures from the last couple trips. 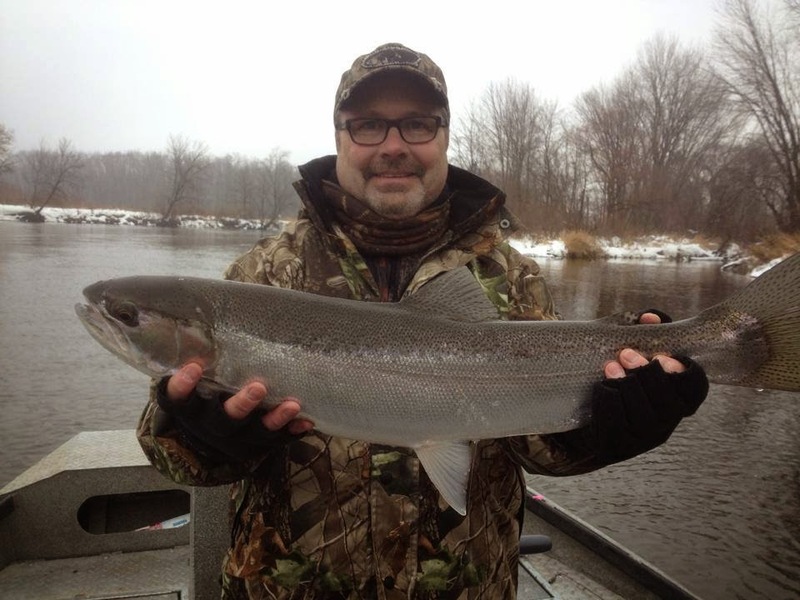 12/28/2014 Ed with a nice Steelhead from the early morning. 12/28/2014 Fritz with a colorful Steelheads from today. 12/28/2014 Finishing 2014 off strong. 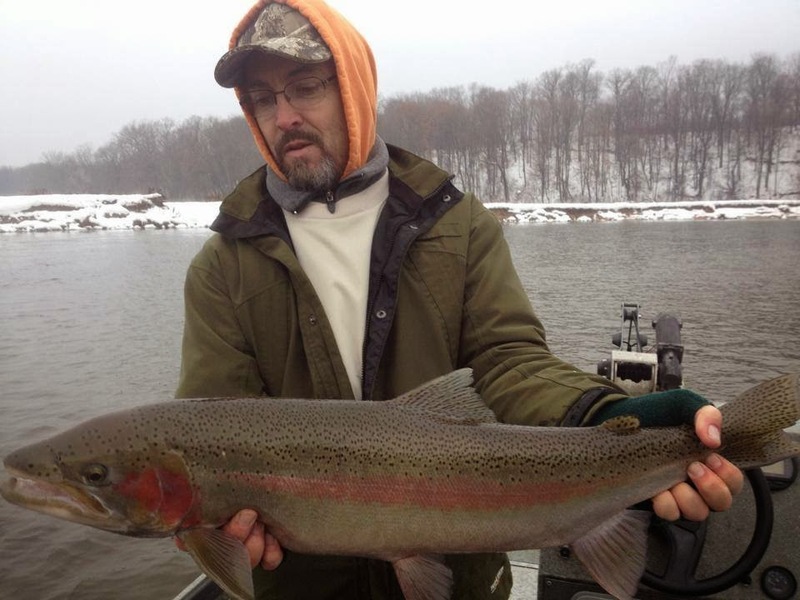 12/28/2014 Fritz with a fish that jumped out of the 35 degree water a few times when he hooked it. 12/28/2014 Fishing was pretty good today. 12/28/2014 Fritz with one right at the end of the day. 12/26/2014 Sam with his first Steelhead. 12/26/2014 Tommy with his first ever as well. 12/26/2014 After letting his boys catch a couple, Dave went to work on the fish. 12/24/14 John with a damn good Brown Trout. 12/25/14 Jack with a Christmas morning Steelhead. 12/25/14 Jack had a good Christmas morning. 12/25/14 Went out fishing Christmas morning and caught a few. 12/22/14 Fritz enjoying the day out on the water. 12/22/14 Ed with one of the fish he caught that day. Well with the blast of early Winter weather we've had the water temp dipped down into the upper 30's and slowed the bite down a bit. We are still catching fish every day but some days you have to work harder for them. Yesterday and today showed big improvement in the bite with warmer weather and rain bringing the water temp back up a bit. We might see a significant rise in water level with this rain and snow melt which could bring another shot of chrome fish and shuffle the old ones around a bit. I expect fishing to be pretty good thru the end of the month and into December. Here are a few fish from recent days.